Get a Cobra-G.I. 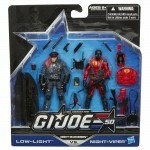 Joe duel with this Night Marksmen pack! Your Low-Light figure is a G.I. 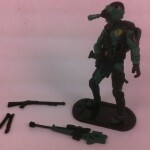 Joe marksman, and he’s in a sniper’s battle with your Night Viper figure. Which one will win? Keep the ninja-Cobra fight going for as long as you want with Night Marksmen pack! 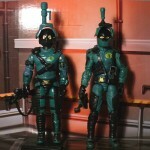 1989 introduced G.I.Joe fans to new Cobra Troopers that until this day, remain fan favorites. One of those characters is the Cobra Night Viper. Sadly enough, this awesome troop builder only saw three versions, with two of those incarnations coming directly from the G.I.Joe Collectors Club (Although many would argue that the Pursuit of Cobra Jungle Viper is indeed the 4th)…well, that is, until now. The final wave of G.I.Joe Retaliation figures brings this iconic character back in to the hands of collectors. 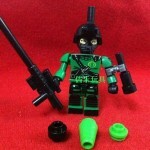 Sporting his classic Night Vision Helmet and Sniper rifle, this figure is sure to make a lot of fans happy.